Each day the kids had sandwiches. They eat a lot less bread, and a lot more fruit and veggies – but this was an easy meal. Whoever said making sandwiches in the van, for 9 out of the 10 of us – isn’t FABULOUS – is TOTALLY missing out. I became very efficient in my lap kitchen preparation – and everyone was happy. 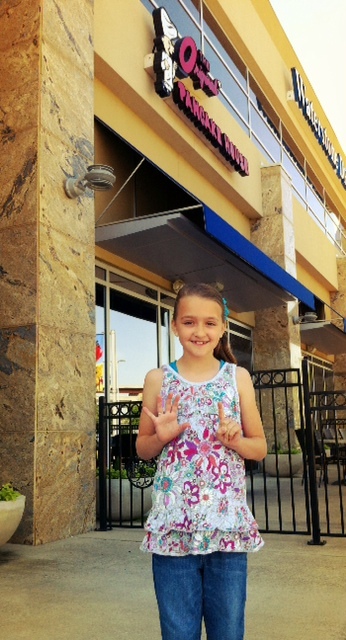 One major blessing that I didn’t consider – is KROGER stores exist in the Dallas area. 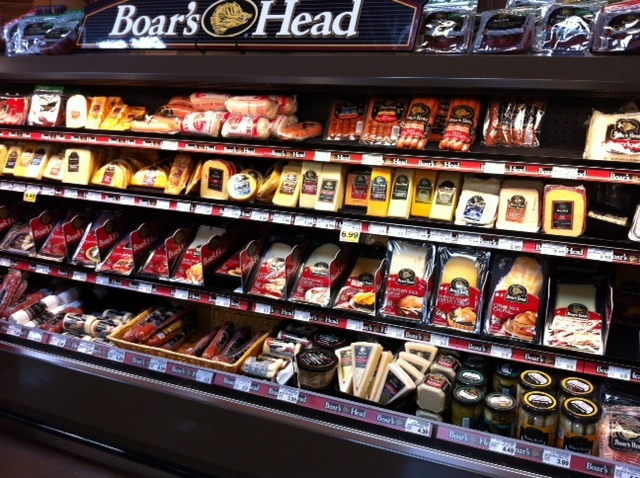 Hurray – I was familiar with them, and their BOARHEAD meats/cheeses…. many of which are clearly labeled GLUTEN FREE, and the kids LOVE them. It was nice to fill my cooler up and not wonder – is there gluten in this? We also found a great pizza place that served amazing pizza with organic ingredients and even offered a GF menu! The kids were SO delighted to have “pizza out”. I even ordered “no cheese” on part of my pizza – and it was incredible. The people at Palio’s were fantastic. The staff even brought me the label off of their meat – so I could verify that it was gluten-free. Great service. 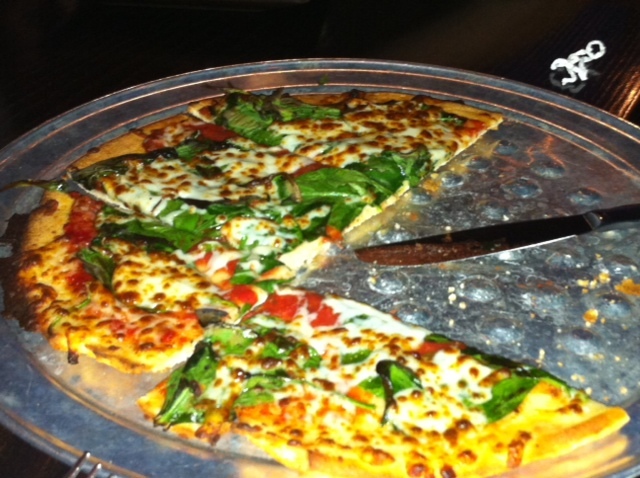 Palio’s Spinach Pizza… Yummo! The kids gave it 16 thumbs up! My kids were thrilled to enjoy some GF pancakes as well! The Original Pancake House offers gluten free pancakes on their menu, and were great about making shelled scrambled eggs. So we just had them make us some fresh ones separately, and everyone was happy! Our family ate 33 pancakes, 2 bowls of fresh fruit and 10 scrambled eggs… not a drop of food was left behind! My daughter showing off how many pancakes she tucked away. She must have a hallow leg! As for me, I ate a lot of salad, and it was FUN. No really, I mean that. It was fun to eat, and not feel sick! Praise be to God. We had an amazing trip! 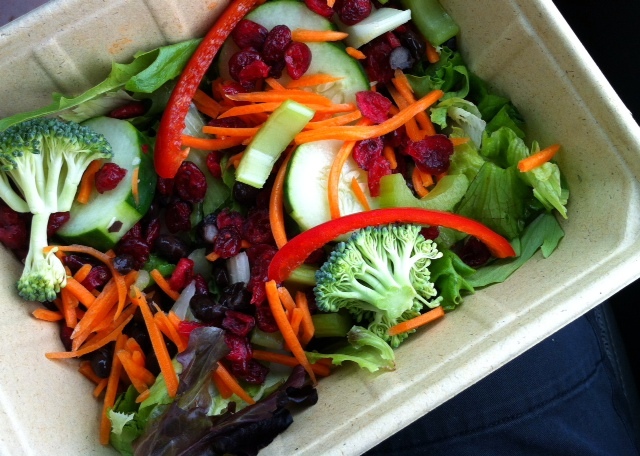 Here is my salad from the Whole Foods store buffet. Perfection! Posted on May 14, 2012, in Celiac/Gluten Sensitivity, Food To Try, Our Struggles and tagged Boarhead Cheeses, Boarhead Meats, Dillons, Eating out gluten free, Gluten Free Chick Fil A, gluten free pancakes, Kroger, Original Pancake House, Palio's Pizza, Traveling GF, Traveling gluten free, Whole Foods Salad. Bookmark the permalink. 2 Comments. Did they make gluten free pancakes at that pancake house? And if so is it a chain? Yes!!! They did! I had some difficulties posting the blog, but the rest I the info should be there now if you go to the actual blog. :). It is a chain!